Some of us are fans of water therapy; we spend a lot of our time taking a shower without thinking twice about water conservation. 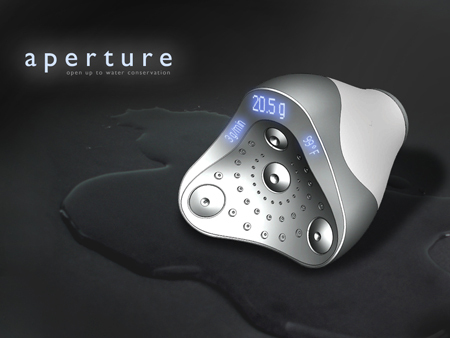 Aperture Showerhead is a new showerhead to make you feel a little more guilty the next time you step into the shower, it works by displaying the volume of water consumed while you’re showering, this way you’ll notice your water consumption and help to save it by setting your water consumption limit. 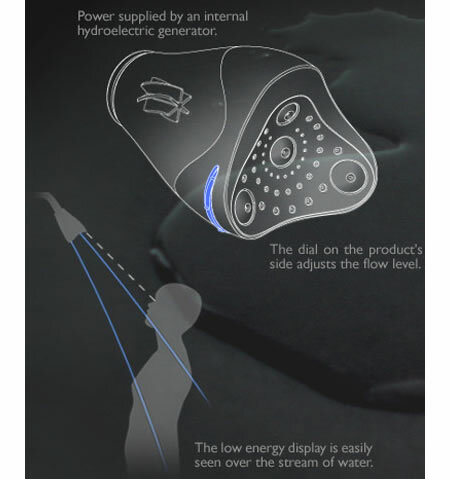 It is ergonomically designed to concentrate the water flow on the body without room for wastage. 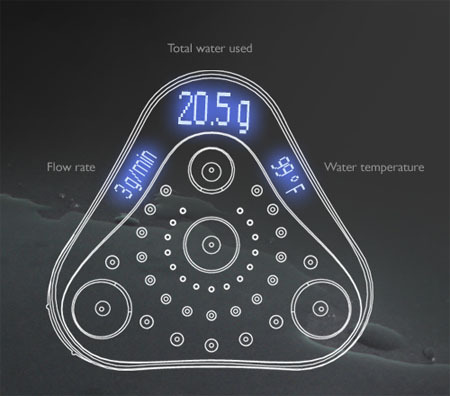 All in all Aperture Showerhead concept features will make you use your water efficiently and take your shower shorter, wise decision.